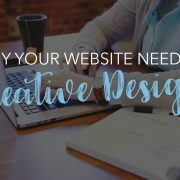 You’ve decided you need a website. You hired the best agency ever. (I might be slightly biased.) Now what? It’s not as simple as you might think. Some people are surprised to learn that there’s a whole checklist of assets and information that your new web development company will need from you before they can begin designing your new website. Communication is key to the success of any project, but particularly during a full redesign, since failure to deliver any one of the items below could delay your project indefinitely. In this blog, we’ll dive into the 10 things your development company needs to start your website redesign. Translation – The login to where your domain name is registered. Typically purchased through a domain registrar along with hosting, this is where you purchased your site URL name (www.yournamehere.com). 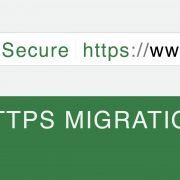 Also, if your email addresses are set up through the domain registrar, make sure to let your web developer know before any hosting changes are made in order to avoid losing your emails. Translation – Access to your content management system, or, in plain English, the platform on which your website is built. CMS stands for content management software or solution. Anymore, very few websites are hardcoded. In fact, nearly 60% of websites are now built on WordPress alone! Translation – Everything relating to your business’s identity. 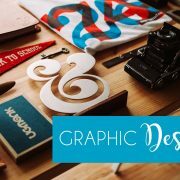 Examples of creative assets that your new dev company will need (if you have them) are logos, style guides, and website images. Providing these assets upfront is helpful to your team, so that your account manager doesn’t have to bother you for them down the line. 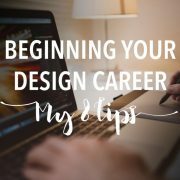 What if you’re starting from scratch, and don’t have a logo or any existing creative assets? That’s when things get really exciting! Just let us know—we’re happy to help you get started creatively. Translation – Any metric-tracking software or platform you are currently using to keep track of website analytics. There are tons of different analytic tracking platforms out there, but a few common ones that you might be familiar with are Google Analytics, Crazy Egg, or other 3rd party programs that track specific things such as heat mapping or landing page performance. You might be asking, why does my website history matter? It’s important to have a baseline of what your current traffic and conversion rate is in order to set goals and track improvement. How else will you know if your new website is any better than your old one? It’s all in the data! Translation – Who should your account manager contact for approvals, questions, and deliverables? This is one of the most important items to communicate during the very beginning stages of your relationship with a new dev company! Without this key piece being decided, there will be mass chaos and confusion on both sides. It’s also important to note upfront if the main point of contact is not also the final decision maker, as timelines can be significantly delayed when more than once person has to review deliverables before final approval can be granted. 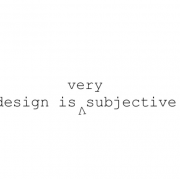 Translation – Examples of websites you want to use as a benchmark or inspiration. 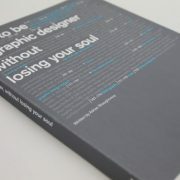 Maybe you admire a certain element of a website and want that piece of design incorporated into your new website. Let us know! Although we wish ‘mind reader’ was listed on our business cards, we can’t know what you are imagining in your mind if you don’t tell us. 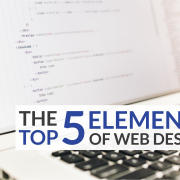 If you see something that really stands out to you, and you’re thinking “that’s really neat, I’d love it if my website could do that, too,” send over that example to your web development team as a guide site! Translation – Who’s doing what you do, but better? Ever heard the saying keep your friends close, but your enemies closer? This concept holds true for business competitors, too! In order to do better than your competition, you have to know what they are doing, and what strategies are working or failing. Provide your new dev company with a list of your top 5 competitors so that they can do a market analysis. Translation – Access to your payment processing provider. There are several great merchant account providers out there, but you might be familiar with Authorize.net, BluePay, PayPal, Square, or Stripe, just to name a few. The information your dev team will need depends on which processor you are using, but have your username and password ready for the developers at minimum. If you don’t have a merchant account set up, no problem! Let us know during onboarding, and we’ll get you in touch with one of our trusted contacts. Translation – When someone places an order on your website, what happens between then and when they receive the item? How long does it take for an order to be processed, what is the shipping time, do you have a shipping matrix, etc. These are all questions that need answered when setting up an ecommerce website, and are helpful to know ahead time in the development process to keep things moving along smoothly. Translation – Basic information about your product(s) offered on your website. This can include, but is not limited to, size and dimensions, material, weight, quantities, pricing, colors, and descriptions. The type of information necessary is dependent on what type of product(s) you are selling, but even a basic list of information can be helpful to provide during the early stages of your website development project. 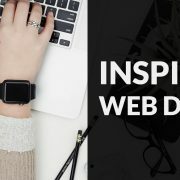 Now that you’re familiar with the 10 basic things your web development company needs from you during a website redesign, you’re all set up for success! This isn’t to say that there won’t be any additional assets they request during onboarding, but it’s a great start. And one more takeaway piece of advice – familiarize yourself with your account manager, as they’ll be your go-to contact during the entire process! Interested in learning more about what iSynergy can do for your business? Contact us ASAP!